Seems winter may have finally shown its face, and in a nice way. 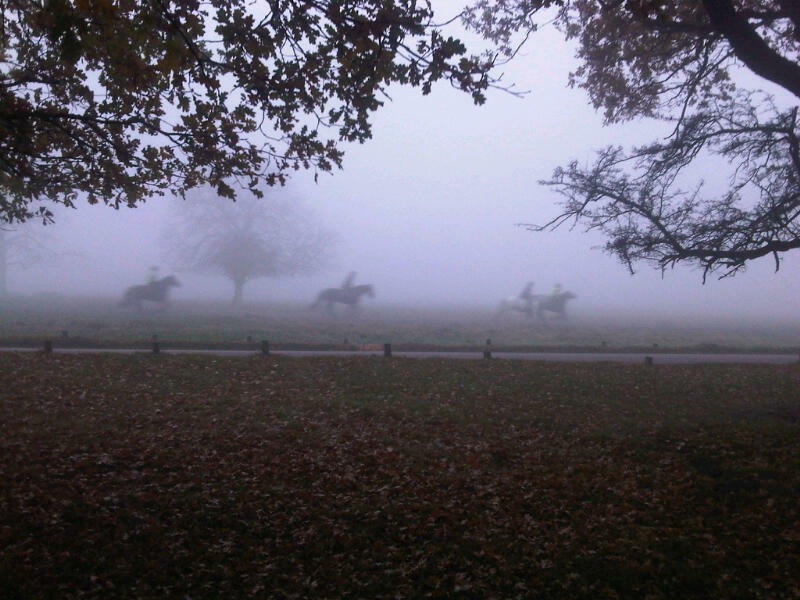 On Sunday I spent the afternoon in my favourite part of South West London, Richmond Park observing the mad joggers (wearing next to nothing) and cyclists and also trying to see through the fog. 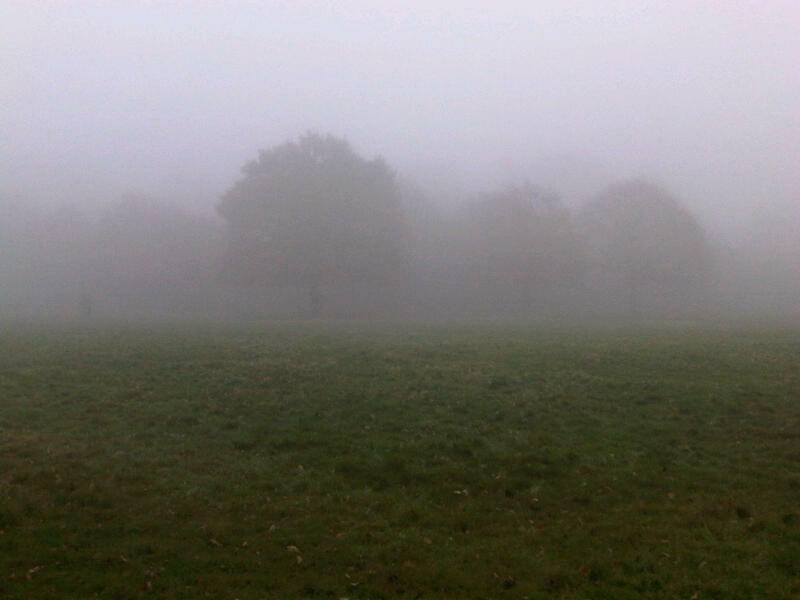 The fog was so dense after about an hours walk my hair was soaked, it was like slow motion rain! Despite the weather it was perfect for walking, crisp and fresh! Horses riders were still cantering through as well. Spooky horse riders pass by.